A growing family, a successful small business, or an exciting new job; there are countless reasons to rent a storage unit in Amarillo. When you need extra space, count on Metro Self Storage of Amarillo, Texas. We offer a wide range of standard and climate-controlled storage units—our handy 5X5, and 10X10 units are perfect for student storage, seasonal gear, or holiday decorations. We take pride in our competitive storage rates, and a friendly storage professional will help you find the extra space you need. 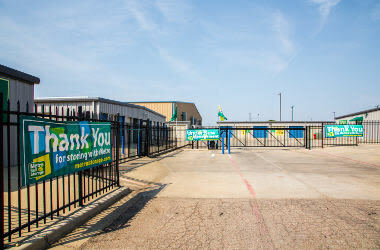 Clean, well maintained, and with 24-hour security monitoring, our modern Amarillo storage facility brings great features and a convenient location together to give you an exceptional mini storage value. Storage rentals range in size from small storage units all the way up to large commercial storage units for households and businesses of all sizes. They come with options for climate control and drive-up access, and all include online bill pay and strong security features. Moreover, you get the Metro Self Storage Customer Satisfaction Pledge; a reflection of our commitment to ensuring your storage experience is a great one. 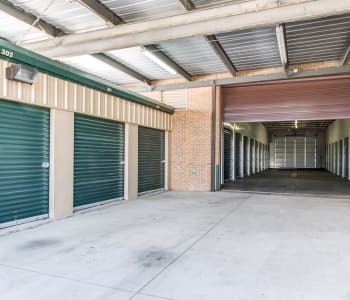 Apartment, condo, or single-family home, wherever you hang your hat to call home in the great state of Texas, there are many reasons you might need to rent an Amarillo storage unit. 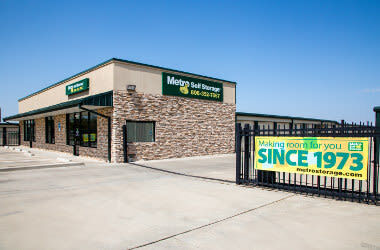 When you store with Metro Self Storage on Paramount Boulevard, you will enjoy great security features including motion detection cameras, secure electronic gate access, and 24-hour recorded video surveillance. Whether you are expanding, downsizing, moving, or simplifying your life, let us help you create a storage experience that is hassle-free and friendly. 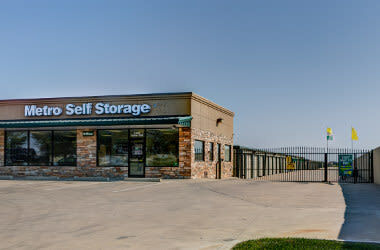 Call us today to find out more about the best choice for self storage in Amarillo.